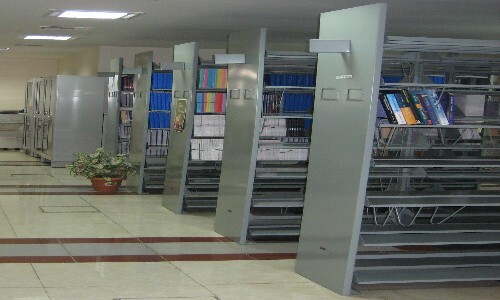 Knowledge Resource Centre (KRC) plays a significant role in acquisition, organization, and dissemination of scientific information in the frontier areas of ocean sciences, geophysics, and other allied sciences. It is engaged in providing specialized services such as managing institutional repository, scientometric analysis, information on impact factors, comparative information w.r.t. journals and also involved in management of learning resources and bibliography management.It has adequate infrastructure to meet its requirements. The main thrust of KRC continues to be the improvement of the quality of services and facilities, achieving higher degree of user satisfaction and modernization of its activities and operations. 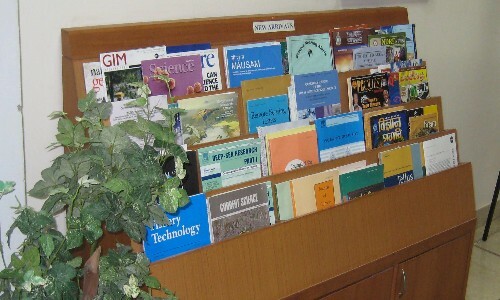 It has an impressive collection of both print and electronic resources in focused subject areas. 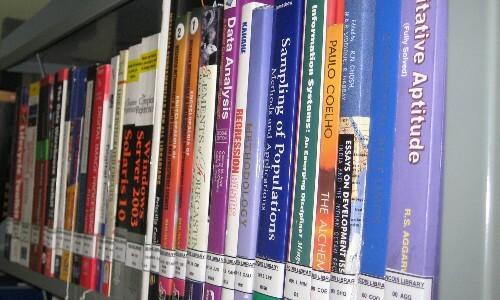 Print holdings include ocean science related reference books, atlases, dictionaries, handbooks, encyclopedias, technical reports, theses and archived journals. Online scientific databases and e-journals are made available online for ESSO-INCOIS' staff. 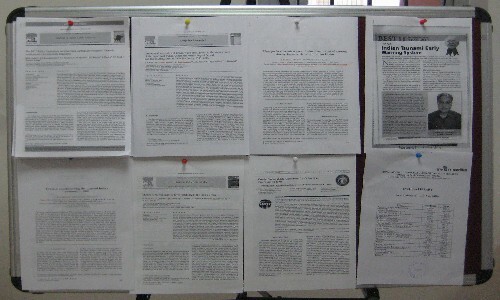 In addition, few journals are accessible under MoES e-Journal Consortium. 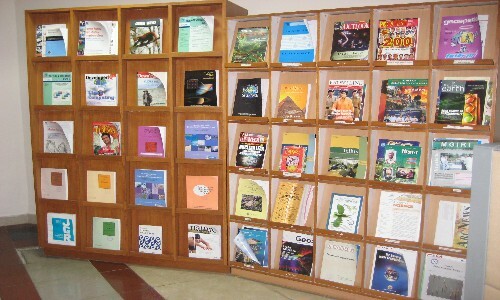 KRC subscribes to various printed national and international journals. Chakraborty, K., Lotliker, A.A., Majumder, S., Samanta, A., Baliarsingh, S.K., Ghosh, J., Madhuri, P.P., Saravanakumar, A., Sarma, N.S., Rao, B.S., Shanmugam, P. Assessment of model-simulated upper ocean biogeochemical dynamics of the Bay of Bengal (2019) Journal of Sea Research, 146, pp. 63-76. Prerna, S., Chatterjee, A., Mukherjee, A., Ravichandran, M., Shenoi, S.S.C. Wyrtki Jets: Role of intraseasonal forcing (2019) Journal of Earth System Science, 128 (1), art. no. 21, . 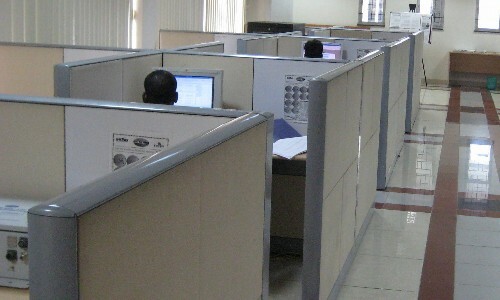 Umesh, P.A., Bhaskaran, P.K., Sandhya, K.G., Balakrishnan Nair, T.M. Numerical simulation and preliminary analysis of spectral slope and tail characteristics using nested WAM-SWAN in a shallow water application off Visakhapatnam (2019) Ocean Engineering, pp. 268-283. Vishnu, S., Francis, P.A., Ramakrishna, S.S.V.S., Shenoi, S.S.C. On the relationship between the Indian summer monsoon rainfall and the EQUINOO in the CFSv2 (2019) Climate Dynamics, 52 (1-2), pp. 1263-1281. Umesh, P.A., Bhaskaran, P.K., Sandhya, K.G., Nair, T.M.B. Spectral Modelling on the Characteristics of High Frequency Tail in Shallow Water Wave Spectra at Coastal Puducherry, East Coast of India (2019) Pure and Applied Geophysics, 176 (1), pp. 501-524. Rahaman, H., Venugopal, T., Penny, S.G., Behringer, D.W., Ravichandran, M., Raju, J.V.S., Srinivasu, U., Sengupta, D. Improved ocean analysis for the Indian Ocean (2019) Journal of Operational Oceanography, 12 (1), pp. 16-33. Chakraborty, K., Maity, S., Lotliker, A.A., Samanta, A., Ghosh, J., Masuluri, N.K., Swetha, N., Bright, R.P. Modelling of marine ecosystem in regional scale for short term prediction of satellite-aided operational fishery advisories (2019) Journal of Operational Oceanography, . Majumder, S., Balakrishnan Nair, T.M., Kiran Kumar, N. Reconstruction of the state space figure of indian ocean dipole (2019) Advances in Intelligent Systems and Computing, 816, pp. 471-482. Srichandan, S., Baliarsingh, S.K., Prakash, S., Lotliker, A.A., Parida, C., Sahu, K.C. Seasonal dynamics of phytoplankton in response to environmental variables in contrasting coastal ecosystems (2019) Environmental Science and Pollution Research, . Saha, S.K., Hazra, A., Pokhrel, S., Chaudhari, H.S., Sujith, K., Rai, A., Rahaman, H., Goswami, B.N. Unraveling the Mystery of Indian Summer Monsoon Prediction: Improved Estimate of Predictability Limit (2019) Journal of Geophysical Research: Atmospheres, . Prasad, S.J., Balakrishnan Nair, T.M., Rahaman, H., Shenoi, S.S.C., Vijayalakshmi, T. An assessment on oil spill trajectory prediction: Case study on oil spill off Ennore Port (2018) Journal of Earth System Science, 127 (8), art. no. 111. Nair, P.J., Chakraborty, A., Varikoden, H., Francis, P.A., Kuttippurath, J. The local and global climate forcings induced inhomogeneity of Indian rainfall (2018) Scientific Reports, 8 (1), art. no. 6026. Nagaraju, C., Ashok, K., Balakrishnan Nair, T.M., Guan, Z., Cai, W. Potential influence of the Atlantic Multi-decadal Oscillation in modulating the biennial relationship between Indian and Australian summer monsoons (2018) International Journal of Climatology, 38 (14), pp. 5220-5230. K, S., Kumar, C.P., Jayappa, K.S. The probabilistic tsunami hazard assessment along Karnataka Coast from Makran Subduction Zone, west coast of India (2018) Environmental Monitoring and Assessment, 190 (11), art. no. 679. Das, I., Hazra, S., Das, S., Giri, S., Chanda, A., Maity, S., Ghosh, S. Trophic-level modelling of the coastal waters of the northern Bay of Bengal, West Bengal, India (2018) Fisheries Science, 84 (6), pp. 995-1008. Busireddy, N.K.R., Osuri, K.K., Sivareddy, S., Venkatesan, R. An observational analysis of the evolution of a mesoscale anti-cyclonic eddy over the Northern Bay of Bengal during May-July 2014 (2018) Ocean Dynamics, 68 (11), pp. 1431-1441. Kameshwari, N., Udaya Bhaskar, T.V.S., Pattabhi, R.R.E., Jampana, V. Correction to Beaufort-estimated wind speeds over the Tropical Indian Ocean (2018) Meteorological Applications, 25 (4), pp. 642-654. Srichandan, S., Baliarsingh, S.K., Prakash, S., Panigrahy, R.C., Sahu, K.C. Zooplankton Research in Indian Seas: A Review (2018) Journal of Ocean University of China, 17 (5), pp. 1149-1158. Chakraborty, K., Nimit, K., Akhand, A., Prakash, S., Paul, A., Ghosh, J., Udaya Bhaskar, T.V.S., Chanda, A. Modeling the enhancement of sea surface chlorophyll concentration during the cyclonic events in the Arabian Sea (2018) Journal of Sea Research, 140, pp. 22-31. Sandeep, K.K., Pant, V., Girishkumar, M.S., Rao, A.D. Impact of riverine freshwater forcing on the sea surface salinity simulations in the Indian Ocean (2018) Journal of Marine Systems, 185, pp. 40-58. Baliarsingh, S.K., Srichandan, S., Lotliker, A.A., Kumar, T.S., Sahu, K.C. Zooplankton Distribution in Coastal Water off Gopalpur, North-Western Bay of Bengal (2018) Journal of Ocean University of China, 17 (4), pp. 879-889. Vinayachandran, P.N., Matthews, A.J., Vijay KuMar, K., Sanchez-FraNKs, A., Thushara, V., George, J., Vijith, V., Webber, B.G.M., Queste, B.Y., Roy, R., Sarkar, A., Baranowski, D.B., Bhat, G.S., Klingaman, N.P., Peatman, S.C., Parida, C., Heywood, K.J., Hall, R., King, B., Kent, E.C., Nayak, A.A., Neema, C.P., Amol, P., Lotliker, A., Kankonkar, A., Gracias, D.G., Vernekar, S., D'Souza, A.C., Valluvan, G., Pargaonkar, S.M., Dinesh, K., Giddings, J., Joshi, M.Ocean-Atmosphere interaction and its impact on the south asian monsoon (2018) Bulletin of the American Meteorological Society, 99 (8), pp. 1569-1587. Vishnu, S., Francis, P.A., Shenoi, S.C., Ramakrishna, S.S.V.S. On the relationship between the Pacific Decadal Oscillation and monsoon depressions over the Bay of Bengal (2018) Atmospheric Science Letters, 19 (7), art. no. e825, . Mukherjee, A., Shankar, D., Chatterjee, A., Vinayachandran, P.N. Numerical simulation of the observed near-surface East India Coastal Current on the continental slope (2018) Climate Dynamics, 50 (11-12), pp. 3949-3980. Umesh, P.A., Bhaskaran, P.K., Sandhya, K.G., Nair, T.M.B. High Frequency Tail Characteristics in the Coastal Waters off Gopalpur, Northwest Bay of Bengal: A Nearshore Modelling Study(2018) Pure and Applied Geophysics, 175 (6), pp. 2351-2379. Krishnan, P., Ananthan, P.S., Purvaja, R., Joyson Joe Jeevamani, J., Amali Infantina, J., Srinivasa Rao, C., Anand, A., Mahendra, R.S., Sekar, I., Kareemulla, K., Biswas, A., Kalpana Sastry, R., Ramesh, R. Framework for mapping the drivers of coastal vulnerability and spatial decision making for climate-change adaptation: A case study from Maharashtra, India (2018) Ambio, pp. 1-21. Article in Press. 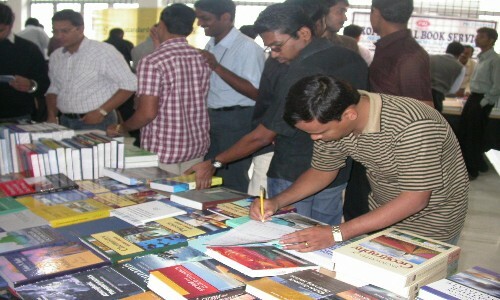 Jayaram, C., Priyadarshi, N., Pavan Kumar, J., Udaya Bhaskar, T.V.S., Raju, D., Kochuparampil, A.J. Analysis of gap-free chlorophyll-a data from MODIS in Arabian Sea, reconstructed using DINEOF (2018) International Journal of Remote Sensing, pp. 1-17. Article in Press. Pattabhi Rama Rao, E., Udaya Bhaskar, T.V.S., Venkat Shesu, R., Srinivasa Rao, N., Suprit, K., Geetha, G. Marine data services at national oceanographic data centre-India (2018) Data Science Journal, 17, art. no. 11, . Martin, P., Lauro, F.M., Sarkar, A., Goodkin, N., Prakash, S., Vinayachandran, P.N. Particulate polyphosphate and alkaline phosphatase activity across a latitudinal transect in the tropical Indian Ocean (2018) Limnology and Oceanography, 63 (3), pp. 1395-1406. Ramakrishnan, R., Agrawal, R., Remya, P.G., NagaKumar, K.C.V., Demudu, G., Rajawat, A.S., Nair, B., Nageswara Rao, K. Modelling coastal erosion: A case study of Yarada beach near Visakhapatnam, east coast of India (2018) Ocean and Coastal Management, 156, pp. 239-248. Baliarsingh, S.K., Lotliker, A.A., Sudheesh, V., Samanta, A., Das, S., Vijayan, A.K. Response of phytoplankton community and size classes to green Noctiluca bloom in the northern Arabian Sea(2018) Marine Pollution Bulletin, 129 (1), pp. 222-230. Lotliker, A.A., Baliarsingh, S.K., Trainer, V.L., Wells, M.L., Wilson, C., Udaya Bhaskar, T.V.S., Samanta, A., Shahimol, S.R. Characterization of oceanic Noctiluca blooms not associated with hypoxia in the Northeastern Arabian Sea(2018) Harmful Algae, 74, pp. 46-57. Vishnu, S., Francis, P.A., Ramakrishna, S.S.V.S., Shenoi, S.S.C. On the relationship between the Indian summer monsoon rainfall and the EQUINOO in the CFSv2 (2018) Climate Dynamics, pp. 1-19. Article in Press. Sandhya, K.G., Murty, P.L.N., Deshmukh, A.N., Balakrishnan Nair, T.M., Shenoi, S.S.C. An operational wave forecasting system for the east coast of India (2018) Estuarine, Coastal and Shelf Science, 202, pp. 114-124. Baliarsingh, S.K., Dwivedi, R., Lotliker, A.A., Jayashankar, R., Sahu, B.K., Srichandan, S., Samanta, A., Parida, C., Srinivasakumar, T., Sahu, K.C. An Ephemeral Dinoflagellate Bloom during Summer Season in Nearshore Water of Puri, East Coast of India (2018) Ocean Science Journal, 53 (1), pp. 143-147. Majumder, S., Balakrishnan Nair, T.M., Sandhya, K.G., Remya, P.G., Sirisha, P. Modification of a linear regression-based multi-model super-ensemble technique and its application in forecasting of wave height during extreme weather conditions (2018) Journal of Operational Oceanography, 11 (1), pp. 1-10. Krishnan, P., Purvaja, R., Sreeraj, C.R., Raghuraman, R., Robin, R.S., Abhilash, K.R., Mahendra, R.S., Anand, A., Gopi, M., Mohanty, P.C., Venkataraman, K., Ramesh, R. Differential bleaching patterns in corals of Palk Bay and the Gulf of Mannar (2018) Current Science, 114 (3), pp. 679-685. Singh, N., Rajan, S., Choudhary, S., Peter, M., Krishnaiah, C. Diisopropylnaphthalene in the surface sediments of an Arctic fjord: Environmental significance (2018) Polar Science, . Article in Press. Duggirala, A., Jana, R.K., Shesu, R.V., Bhattacharjee, P. Design optimization of deep groove ball bearings using crowding distance particle swarm optimization (2018) Sadhana - Academy Proceedings in Engineering Sciences, 43 (1), art. no. 9, . Saikia, D., Kumar, M.R., Singh, A., Roy, S.K., Raju, P.S., Lyngdoh, A.C. Mantle Deformation in the Eastern Himalaya, Burmese Arc and Adjoining Regions (2018) Geochemistry, Geophysics, Geosystems, . Article in Press. Chakraborty, K., Valsala, V., Gupta, G.V.M., Sarma, V.V.S.S. Dominant Biological Control Over Upwelling on pCO2 in Sea East of Sri Lanka (2018) Journal of Geophysical Research: Biogeosciences, . Article in Press. Wojtasiewicz, B., Trull, T.W., Udaya Bhaskar, T.V.S., Gauns, M., Prakash, S., Ravichandran, M., Shenoy, D.M., Slawinski, D., Hardman-Mountford, N.J. Autonomous profiling float observations reveal the dynamics of deep biomass distributions in the denitrifying oxygen minimum zone of the Arabian Sea (2018) Journal of Marine Systems, . Article in Press.